People who fill out a JEA application are looking to join a company that offers a variety of necessary services to a select area. With over two thousand employees, this company offers services to four counties in Florida. Links to apply for jobs at JEA are available at the bottom of the page. Originally, Jacksonville, Florida’s water and sewer systems were created in 1880 and run by the city. In 1895, electricity was added to the city’s domain. It wasn’t until the 1968 that a separate entity was created in JEA. Throughout the 1970s, JEA had issues with their rates as they were some of the highest in the country. In 1979, a new CEO took the helm and the rates began to drop, quickly becoming some of the lowest in Florida and the Southeast. 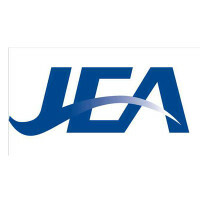 Throughout the late 1990s JEA kept their rate low while doing renovations and updates to their facilities on borrowed money. Throughout the 2010, rates have been slowly rising to keep up with expenses. Currently, JEA offers services in Duval, Clay, Nassau, and St. John counties. They stick to utilities, offering and bundling electricity, water, sewer, and chilled water services. The chilled water is focused in downtown Jacksonville, and helps to heat and cool buildings’ air and various equipment. Corporate JEA jobs are located in Jacksonville, Florida and will often find themselves working with customers to give them the best experience that they can. Some employees may find themselves working with the utility services to oversee and make sure that they are working properly. Local JEA careers are found working directly with customers or at the various plants that serve the community. The company has an electric plant, water plant, and a wastewater plant that are all hiring and are scattered across the Jacksonville area. How old do you have to be to work at JEA? Age requirements vary by position. As you browse JEA jobs online, make sure to read all the position needs carefully. Some jobs may require various degrees, certifications, or experiences before you are hired. JEA offers several benefits to their employees, including Medical/Dental/Vision insurance, Life insurance, and disability insurance. Because JEA is a city owned company, all employees are required to place eight percent of their salary into a General Pension Plan. Mechanical Technician – You’ll find yourself working in the power plant to make sure that everything is running smoothly. As needed you’ll do welding work, machine repairs, and mechanical work under general supervision. Compensation is around $30,000 a year. Manager Water & Reuse Operation and Maintenance – In order to make sure that everything is working properly, you will perform both corrective and preventative maintenance to keep service going to all customers in the area. Compensation is around $60,000 a year. Manager Water / Wastewater Customer Response – As needed, you will interact with the public to repair and fix any issues that they are having in regards to their service. To prevent any issues, you will look to provide any preventative maintenance that you can. Compensation is around $60,000 a year. Instrument & Control Technician – It is expected that you’ll have an in depth knowledge of general chemistry, physics, pneumatics, and electrical principles in order to do your tasks. You’ll solve complex problems and identify and recommend solutions to unusual situations. Compensation is around $40,000 a year. Why do you want to work for JEA? This is an extremely common interview question, so you should be prepared for it. Talk about what drew you to the company, whether it was the culture or benefits and why it’s your first choice in places to work. JEA relies heavily on customers for their business, so you may be asked this question in the form of a hypothetical situation: How would you take care of an upset customer? Walk your interviewer through the steps that you would take to turn the customer’s experience around. If a disaster strikes, you may find yourself working in a high pressure situation, so you may be asked: How do you react and work under stress? Talk about your reaction and working strategy, making sure to be honest. If there’s something that you don’t like about your reaction, explain how you’re trying to change it. How to apply for JEA online: start by searching for the position that you’re interested in applying to. Because this is a company that is specific to Jacksonville, Florida, you’ll need to be prepared to move there as you fill out your JEA application. There is no printable application for JEA available on their website. Before attending your interview, do research on JEA and the industry in order to create a list of questions that you can ask. This may seem excessive for an entry level position, but it will place you above the other candidates as it shows that you think ahead and are prepared. Your interview will probably take place in a semi-formal setting, so dress appropriately in business casual. If you’ve applied for a managerial position, a suit would be appropriate. Have a positive and friendly demeanor because it will give a good impression and show that you’re ready to work within the existing team. Show gratitude at the opportunity to interview with JEA. After your interview, inquire about the best way to check on your hiring status. Very few candidates will learn if they got the job during the interview because JEA will want to screen all candidates before making a final decision on who they hire. Long Island Power Authority: For career opportunities, fill out the Long Island Power Authority online application. ABF Freight System: See our guide for careers at ABF Freight System. Chesapeake Energy: For employment at Chesapeake Energy visit the application page. Georgia Power: Checkout the application page for work at Georgia Power. Seattle City Light: Seattle City Light offers opportunities for both, beginners and experienced roles.